Volunteers have been invited to join two ‘mystery shopper’ police schemes to help improve services for crime victims, while also discovering the best pubs and venues in Northamptonshire. Launched by Police and Crime Commissioner Adam Simmonds, the Best Bar None scheme is recruiting volunteers aged 18 and over to help find the best town centre pub, rural pub and late-night venue in the county. Police have said that the job is for Northamptonshire residents who are interested in the levels of safety and customer care offered by local pubs, clubs or bars, who have a good eye for detail, and who would be able to spare an hour or more a fortnight. Volunteers are also needed to act as mystery shoppers to help improve services for victims across the county. As well as being Northamptonshire residents aged over 18, applicants must be able to follow an improvised script, be impartial and have a keen interest in the quality of services on offer to victims and witnesses of crime. 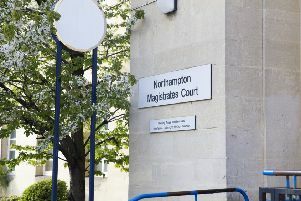 For more information on either scheme, visit www.northantspcc.org.uk/#!/GetInvolved/13731 or email.